I was so surprised how much I liked this recipe when we made it at the New School of Cooking. 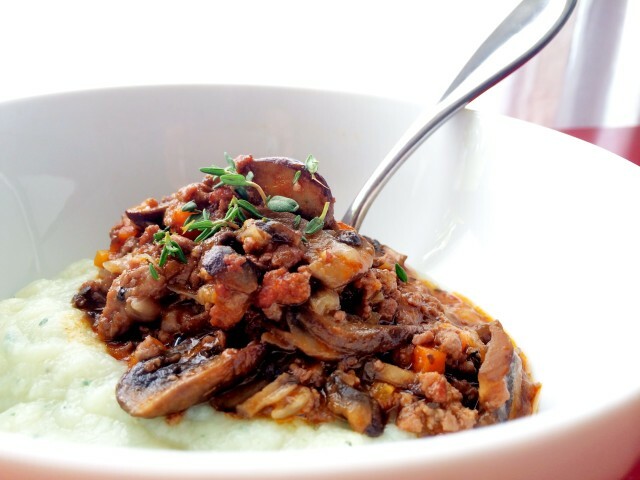 I’ve never been a big fan of mushrooms, but this dish completely changed my mind and now I can’t get enough. The original recipe is vegetarian but because my husband likes a protein with every meal, I added ground turkey and it’s great! 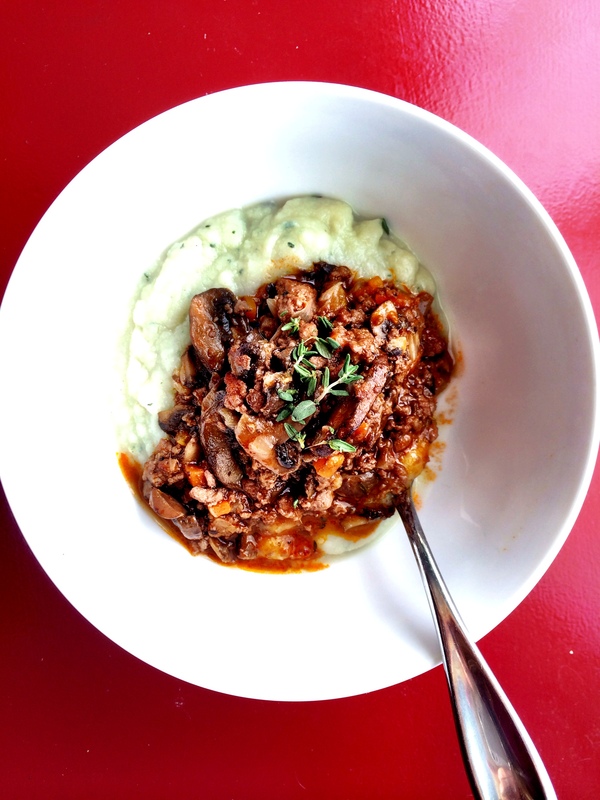 This dish screams comfort food and is perfect for those chilly months. **If you decide to keep it vegetarian, double the mushrooms to a total of 2 pounds. Heat the olive oil in a medium Dutch oven or heavy sauce pan over high heat. Saute the carrots, onions, half the amount of thyme, a few good pinches of salt and several grinds of black pepper into the pan and cook for 10 minutes, stirring occasionally, until the onions are lightly browned. 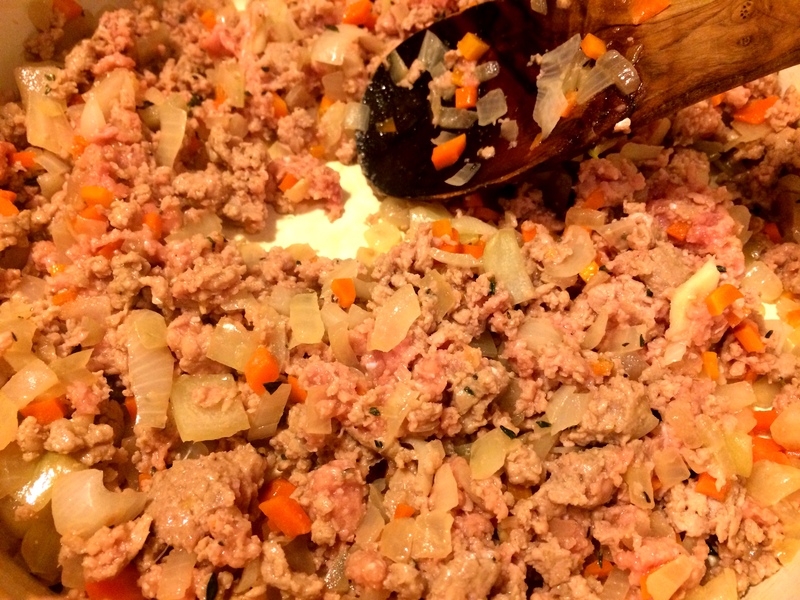 Add ground turkey, breaking up the pieces and cook until almost browned. 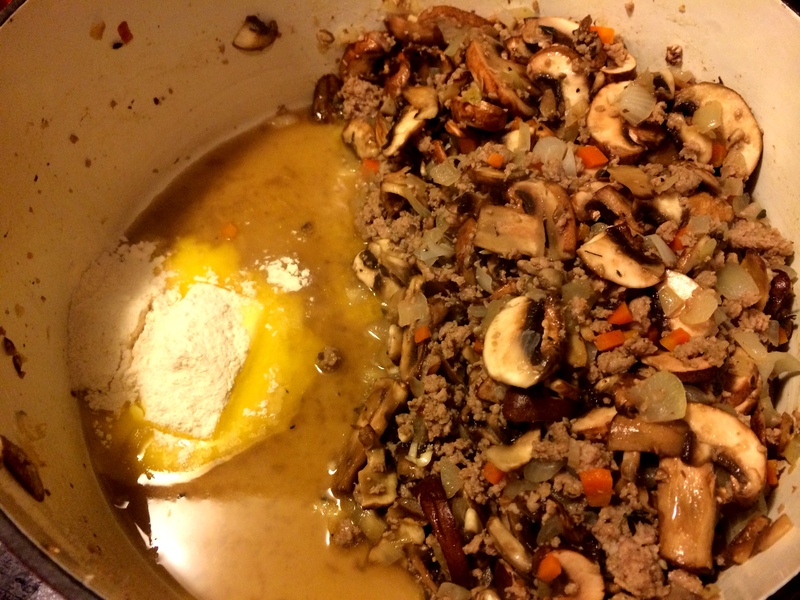 Next, add mushrooms and cook about 3-4 minutes. Lower the flame to medium, add garlic and cook for just one more minute. Push vegetables to one side of the pot, add butter and flour, stirring to combine. Add the wine to the pot, scraping any stuck bits off the bottom, then turn the heat all the way up and reduce it by half. 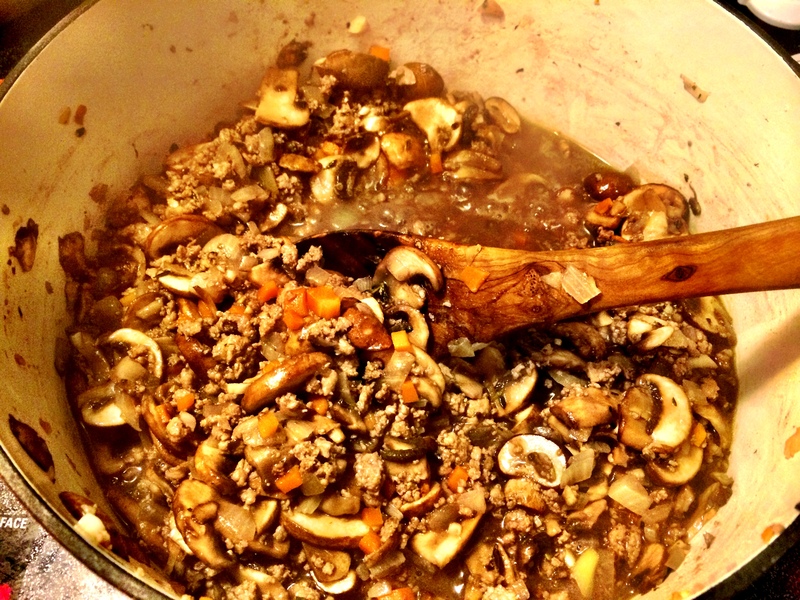 Stir in the tomato paste and the broth and simmer for 20 minutes, or until the mushrooms are very tender. Meanwhile, bring a large pot of water to a boil. 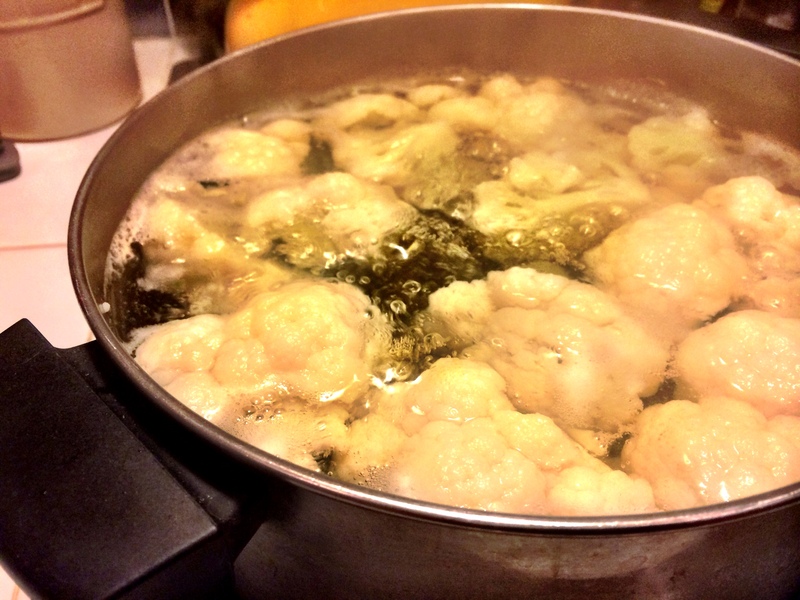 Add cauliflower and cook until fork tender. 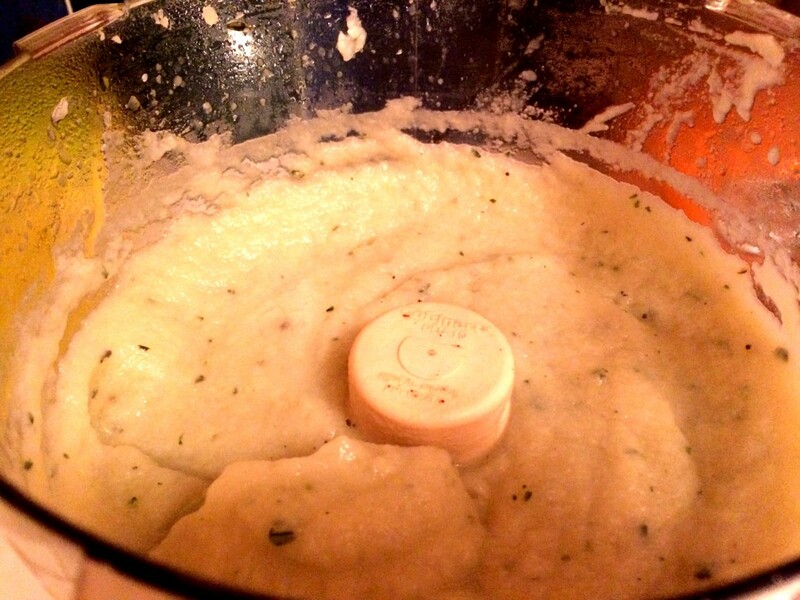 Strain and puree with a hand blender or in a food processor. Season with the remaining thyme, salt and pepper. 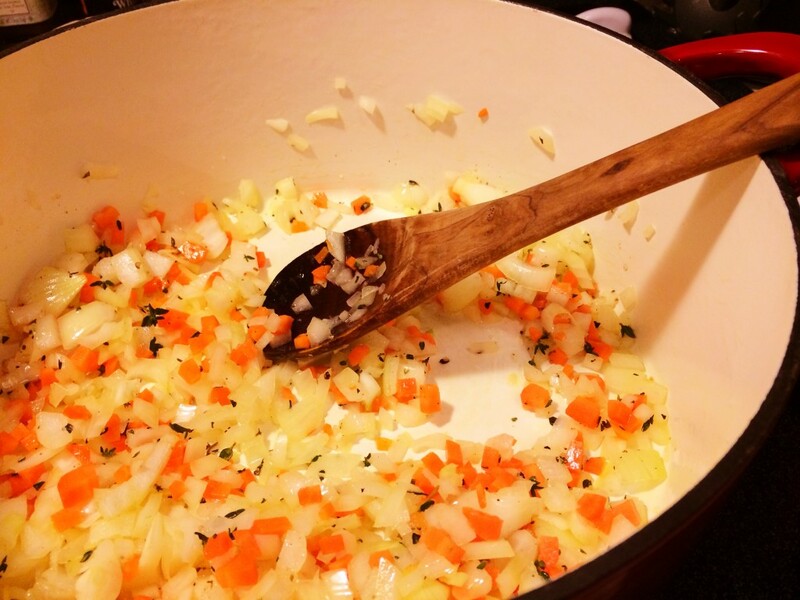 If the sauce is too thin, boil it down to the right consistency. Season to taste. 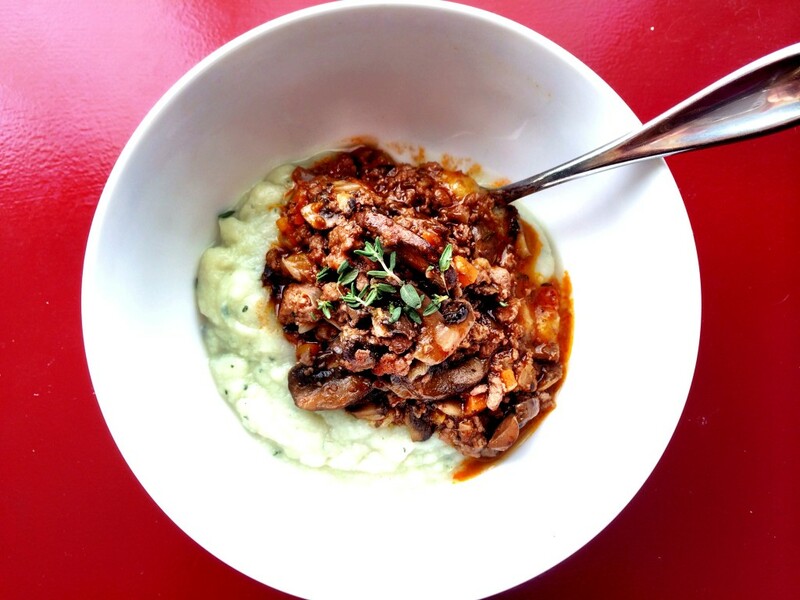 To serve, spoon the mushroom stew over a bowl of cauliflower puree. Enjoy!